The company SFA ,founded in 1958, has revolutionised the sanitary equipment market by creating the electrical macerator toilet, otherwise known as the Saniflo . 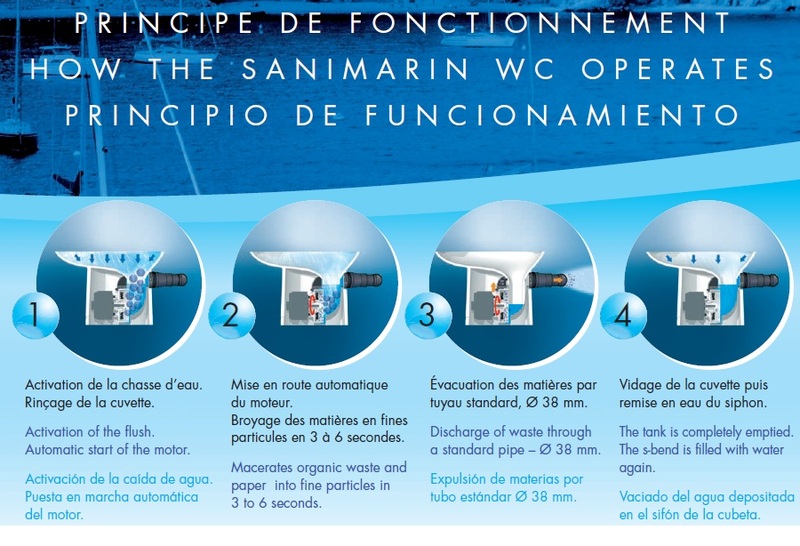 Sanimarin toilet technology includes a very efficient macerator as well as a powerful sewage pump. SFA has managed to combine comfort, quietness, economy of resources and easy installation to all of its products.